If a book was beloved by one of us, it would be beloved by all. We would all four read it, one after the other. If it were especially adored, we would “play” the book during recess, acting out important scenes and making up new stories for the characters. One of my friends, a kindred spirit, had a lending library that operated out of her bedroom. She had index cards and due dates and everything. In other words, I was already a reader when I discovered Joan Aiken’s The Wolves Chronicles. This was the series that made me into a writer. In the first story, The Wolves of Willoughby Chase, a nearly friendless orphan, Bonnie, arrives at the mysterious mansion home of her wealthy cousin, Sylvia. But Sylvia herself is orphaned before long. The two kids are left in the care of a pernicious governess. There follow adventures in London, terrible poverty, a delightful cave, secret rooms, an evil boarding school, and wolves. During their adventures, Bonnie and Sylvia become the best of friends, recognizing kindred spirits despite their radically different upbringings. 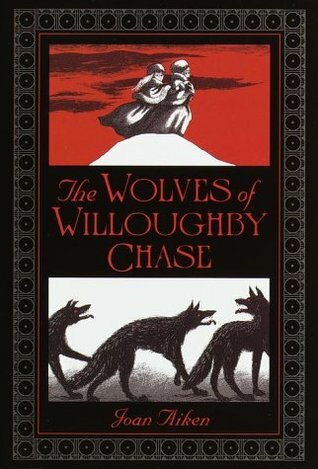 The Wolves of Willoughby Chase had pictures by Pat Marriott, but the later books in the series–Black Hearts in Battersea, Nightbirds on Natucket and so on–had illustrations by the miraculously odd Edward Gorey, whose vision of the nineteenth century was as uniquely skewed as Aiken’s was. Reading these books was the first time I think I was conscious of style–of the way both writers and illustrators can manipulate the world. The Chronicles portray an alternate history of England; one in which wolves from Eastern Europe roam the British countryside and terrorize people, having traveled through a tunnel built under the English Channel. In Gorey’s pictures, hats are more expressive than faces. People don’t look like people so much as figments of Gorey’s internal landscape. Anyway, I read them all. My friends read them all. More importantly, we wrote imitations of them in our blank notebooks–novel-length stories of orphans escaping poverty, adventures in London, girls who are kindred spirits and terrifying wolves. These stories had nothing to do with our own lived experience and everything to do with representing the insides of our minds on the page. That is what I am still trying to do when I write: to use stylized language and dramatic structures to portray the inside of my head. My new book, Genuine Fraud, features orphans escaping poverty, adventures in London, girls who are kindred spirits and terrifying wolves. Okay, the wolves aren’t really there. Well, they’re there, but they’re metaphorical wolves. But then, Aiken’s wolves were metaphorical, too. 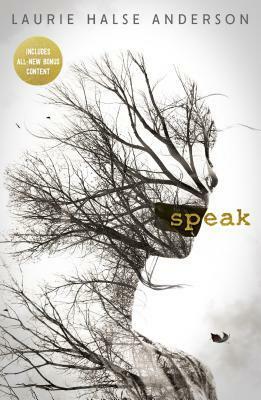 E. Lockhart is the author of We Were Liars, The Disreputable History of Frankie Landau-Banks and the Ruby Oliver quartet. Her latest book, Genuine Fraud, was published on September 5, 2017. Emily has a doctorate in English literature from Columbia University. In 2013, she chaired the committee on Young People's Literature for the National Book Awards. She currently teaches creative writing at Hamline University's low-residency MFA program in Writing for Children.